Founding Fathers, Why Did It Take So Long To End Slavery: It's Foundations of Freedom Thursday, a special day of the week where we get to answer questions from you, the listeners! Always answering your questions from constitutional principles! Tune in today as we answer your questions such as how could the Founding Fathers own slaves and still be anti-slaver, why did it take so long to end slavery, were there any anti-slavery Founding Fathers, and so much more, right here on WallBuilders Live! Voter Fraud, Election Integrity Is Needed Now More Than Ever: In today's episode we talk with Kris Kobach, the Secretary of State for Kansas. The Secretary of State is who is in charge of counting votes and protecting against voter fraud. It’s a very dangerous road to go on when you allow fraud in elections, people begin to lose hope in public servants and the election process. Learn about the initiative that Kris is apart of to protect the integrity of the election and how we can get more states and more Secretary of States on board with this initiative protecting against voter fraud. Nazarene Fund, Going On Rescue Missions Saving Christians From ISIS: In this episode we are talking with Michael Powell, the Director of Operations of The Nazarene Fund. For several years, ISIS has invaded peaceful communities in the Middle East and painted the Nazarene symbol on the door of people they seek to convert, extort, or murder. While ISIS uses the Nazarene sign to symbolize death, we use the sign to symbolize life. The Nazarene Fund aids in the restoration of Christians and other persecuted religious minorities and their communities who have been targeted by ISIS for their faith. Tune in now to learn more. Predictions, Global Warming, Global Cooling, Climate Change - Just How Wrong Environmentalists Are: Today, we talk with Walter Williams on the very inaccurate scare tactics the Environmentalists use and how they are using them to their political advantages. Environmentalists have been way off. It started out during the 70's, the warning was about global cooling. Then they changed it to global warming. Now they don’t call it global warming anymore because they realized how wrong they’ve been, now they just call it climate change. Constitution Alive, Proper Ways To Amend The Constitution, Part Two: In today's episode, we're going to be jumping into a two part series on Constitution Alive, the amendment process. Join David Barton and Rick Green, Constitutional experts, and advocates for the original intent of our founding documents, in this one-of-a-kind course on the meaning and purpose of the Constitution! You'll learn how the proper ways to amend the Constitution, if the states should do it, or if it should always go through Congress. Tune in now to learn more. Constitution Alive, Proper Ways To Amend The Constitution, Part One: In today's episode we're going to be jumping into a two part series on Constitution Alive, the amendment process. Join David Barton and Rick Green, Constitutional experts and advocates for the original intent of our founding documents, in this one-of-a-kind course on the meaning and purpose of the Constitution! You'll learn how the proper ways to amend the Constitution, if the states should do it, or if it should always go through Congress. Tune in now to learn more. Military Transgender Order, Trump Moving The Military In A Good Direction: In today's program we're going to have General Jerry Boykin with us from Family Research Council. We'll be talking about this new order from President Trump saying that we will no longer allow transgenders in the military. Many military folks have been very concerned with what the Obama social experimentation over the last few years. We've lamented over the last few years over the horrible things that have been happening in the military to hurt our military readiness. The president is saying, “Enough of this. Let's use some common sense.” Tune in now to learn more. Air Force Vet Assaulted For God & Country Flag Folding Ceremony: Today, we are talking with Mike Berry, a Deputy General counsel for First Liberty Institute, to give us an update on a Liberty case that he is working on. This case is dealing with a man named Oscar Rodriguez, Jr. who is a decorated Air Force veteran. A retiring service member asked Rodriguez to deliver the flag-folding speech at his retirement ceremony. But when he began the speech, uniformed Airmen assaulted him, physically dragged him out of the ceremony, and kicked him off the military base because the speech included the word “God.” Tune in now to hear the update on this case. College Is Not A Daycare, The Truths About Coddling Colleges: What has happened to the American spirit? We've gone from "Give me liberty, or give me death!" to "Take care of me, please." Our colleges were once bastions of free speech; now they're bastions of speech codes. Our culture once rewarded independence; now it rewards victimhood. Tune in now to hear more about Dr. Pipers new book Not a Day Care: The Devastating Consequences of Abandoning Truth. Religious Conscience, Why It Needs To Be Protected: Good News Friday today on WallBuilders Live! Tune in now to hear about just some of the good things that have been happening in our country recently. 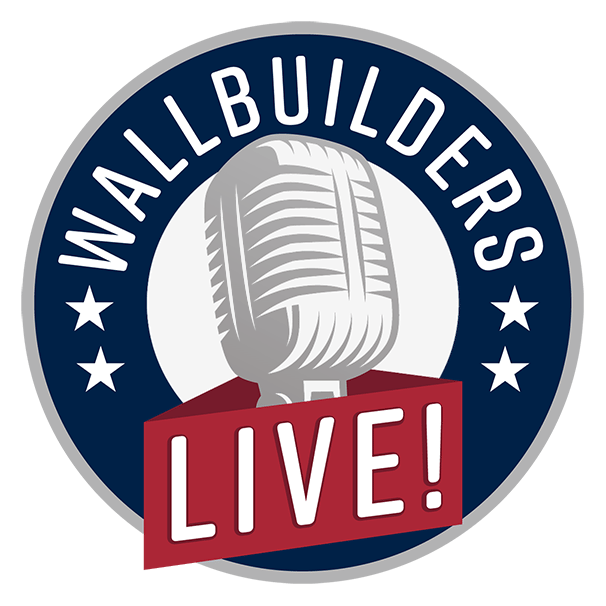 In this episode, we discuss things such as, the Second Amendment in Washington D.C., Assisted Suicide bills being struck down, good news on religious freedom, and so much more, right here on WallBuilders Live.